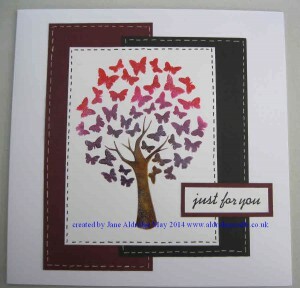 Today’s creation is using a Sweet Poppy Stencil – the lovely Butterfly Tree design. I started by fixing my stencil down with low tack stencil tape and coloured the trunk of the tree using Distress Inks in a couple of shades of brown – with a little yellow added too. I applied this using Cut n Dry foam. Don’t worry if your brown ink goes over a few edges of butterflies when you are doing the little branches, it won’t notice once you colour the rest of the design. 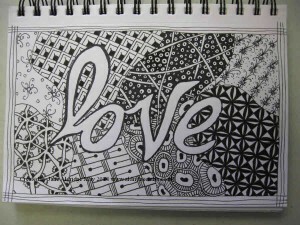 I love to zentangle… its definitely an addiction! I will quite happily potter with my pad and pen and create patterns. 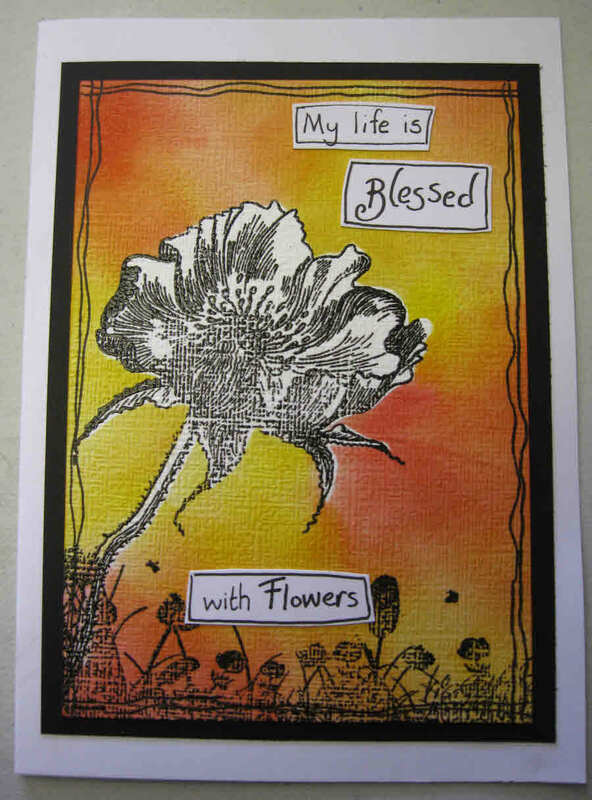 I have another Zentangle workshop coming up later this week and wanted to produce some new samples to show the group to give them ideas for what other ways they can use zentangling. 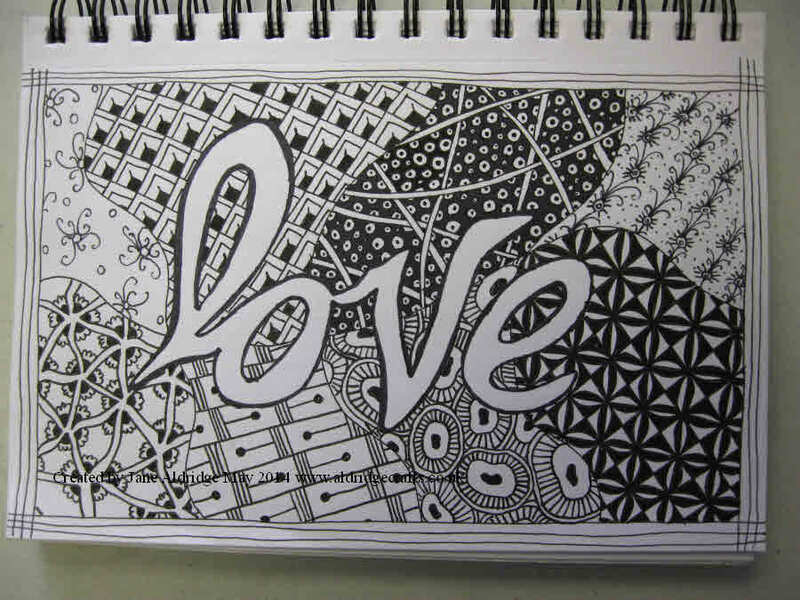 For this piece I drew the word love first – you could always print out a word and trace it on a lightbox. 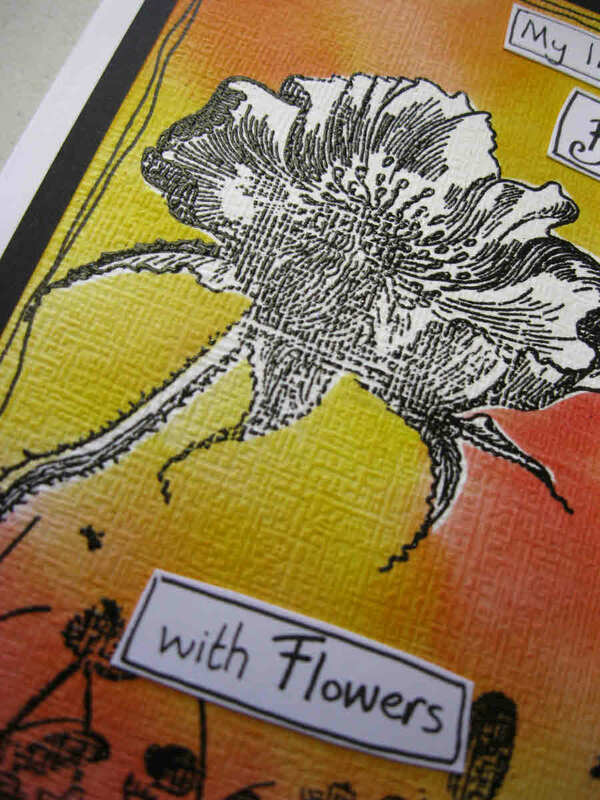 I divided the background with randomly drawn lines to create different sections that I could put my patterns into. 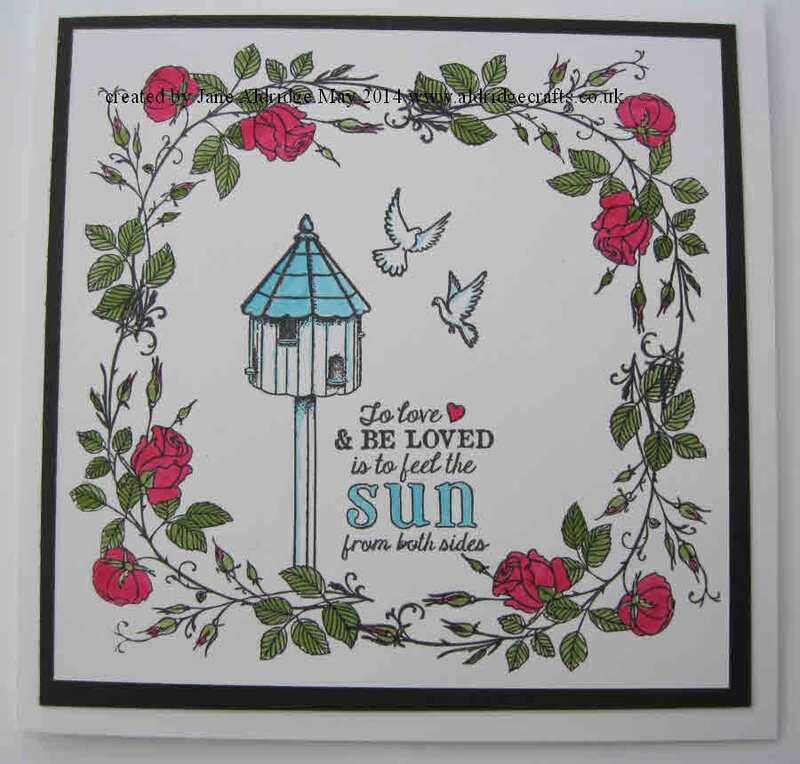 Another creation with the free stamps from Creative Stamping Magazine. 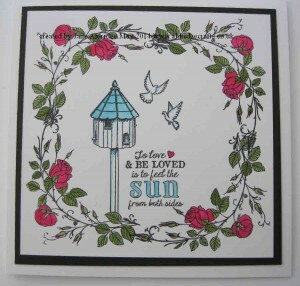 This card i s such a simple design, but so effective and elegant. I started by cutting a square piece of card so it would fit my 6×6″ card blank with a border mount. The set has the most handy rose corner. 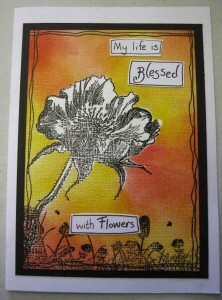 I stamped this in all four corners, overlapping a little to make a border with no breaks in it. Woohoo.. post number 150! 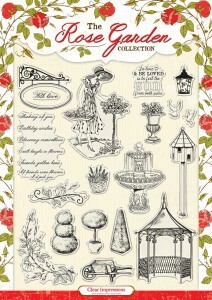 That’s 150 different creations I have created and shared with you all. 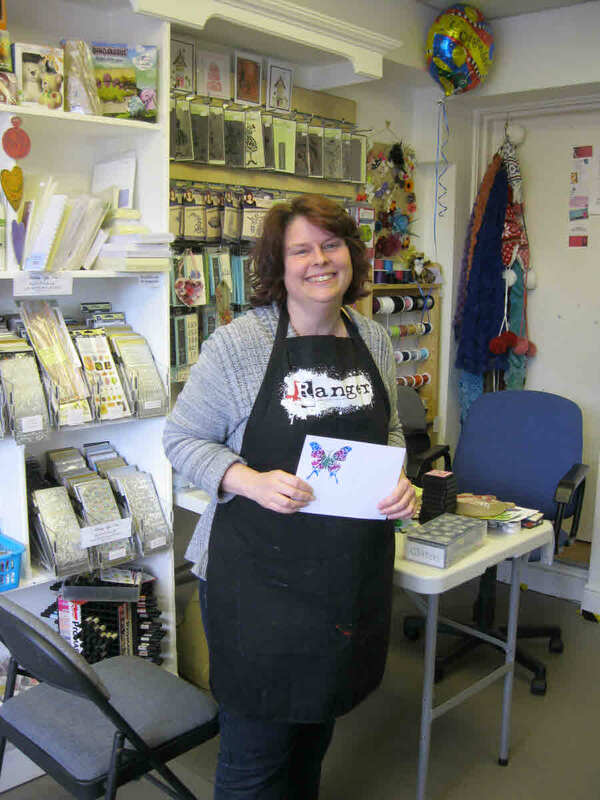 Now we are on the new blog you will need to visit my old blog to visit all my previous creations – but don’t worry I’ve added a permanent link to the top toolbar so you can always go and have a browse. Today’s creation is using the fabulous stamps that come free with the latest issue of Creative Stamping magazine. 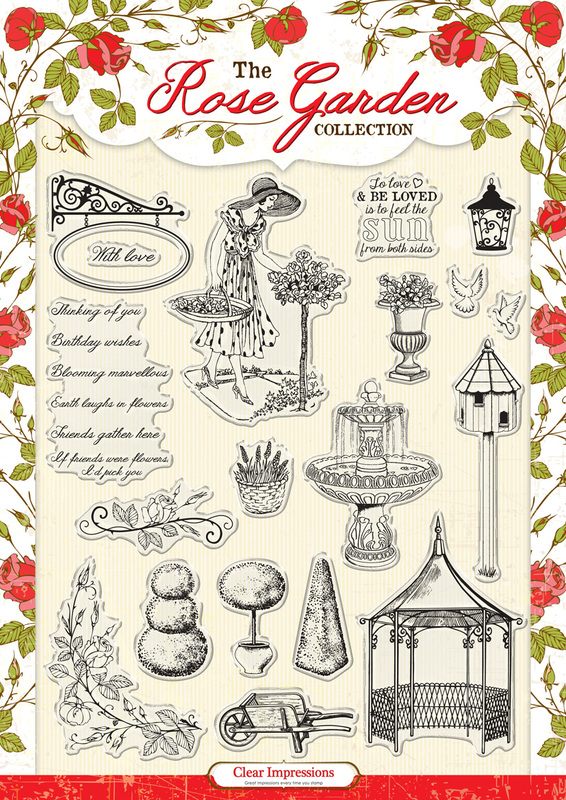 They are a lovely Summer themed set this time and as ever they stamp with the greatest detail of any expensive brand stamp you would use. 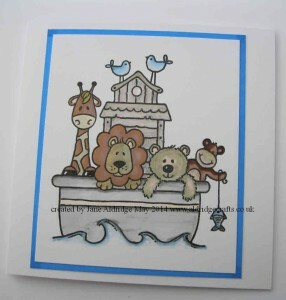 I have been busy creating a card for a customer order today along a baby card theme. 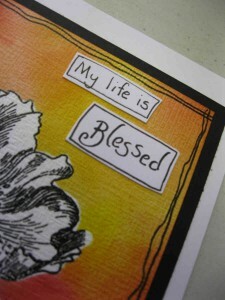 I’ll post up my creation in a couple of weeks time, just in case the recipient is a facebook follower! 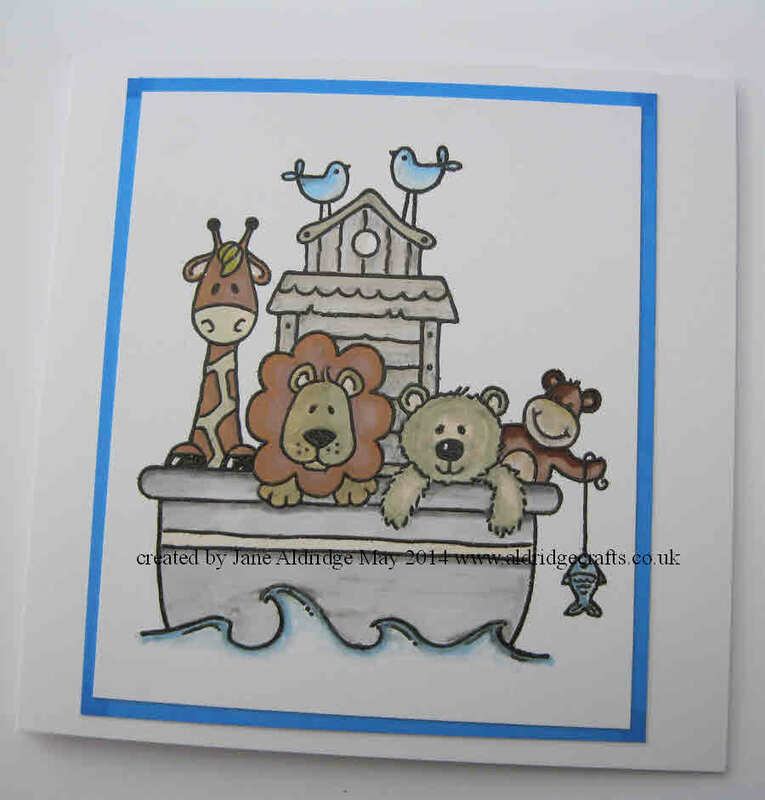 However, while I had all my baby products on the workdesk, I thought I would do some more cards for the shop.